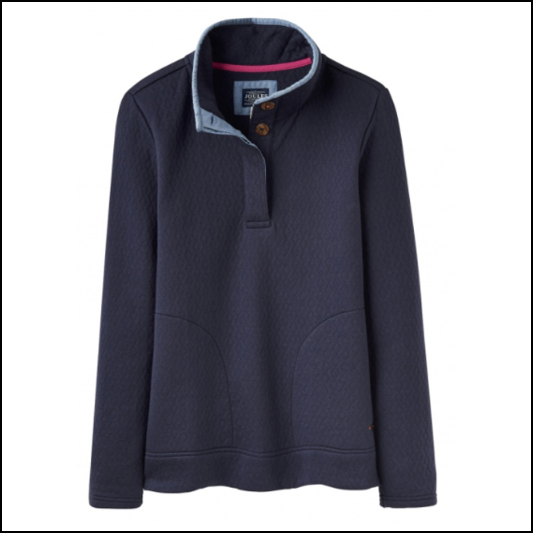 Joules have ‘saltwashed’ this sweatshirt to give it a soft, aged, lived in look and by adding a luxurious insulating quilt finish it will feel like an old favourite from the first moment you pull it on. Signature nautical influences such as relaxed fit, contrast edging, funnel neck design and large sculpted pockets for all your bits & bobs, this is the ideal partner for those long awaited days spent beside the seaside and a must have wardrobe ‘goto’ this season. 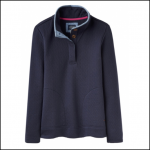 Like this Joules Saunton Classic Quilted Funnel Neck Sweatshirt? 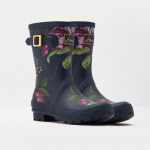 Why not browse our complete Joules Sweatshirt range.